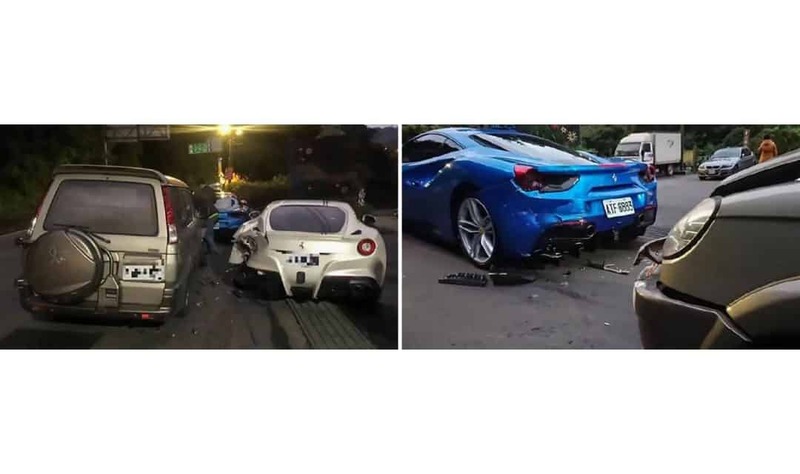 The chances of crashing into one Ferrari are remote enough, but to crash into four at once must be a one in a million occurrence! 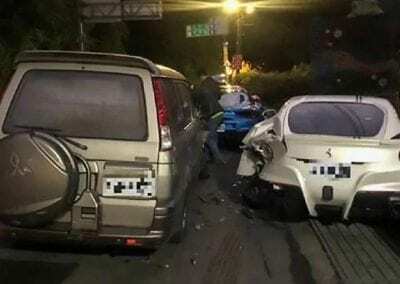 Yet that’s what happened to Lin, a delivery driver in New Taipei City, North Taiwan, when he apparently fell asleep at the wheel of his Mitsubishi 4x4. Lin, who was delivering for his mother’s business, is now faced with a $900,000 repair bill, and it is unclear whether the poverty-stricken 20 year-old has any motor insurance. 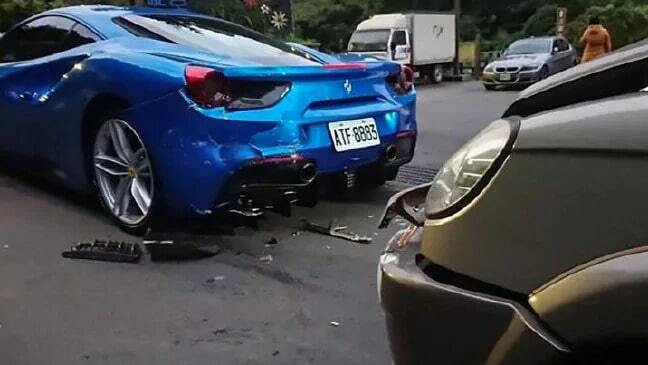 Footage of the accident clearly shows four Ferraris parked at the side of the road, and Lin hitting them as he came around a bend. 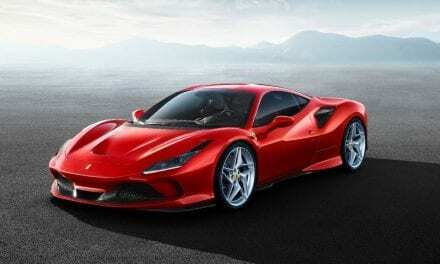 The cars are three Ferrari 488 models, each worth around $470,000, and a rare Ferrari F12 Berlinetta, which is a $700,000 supercar. 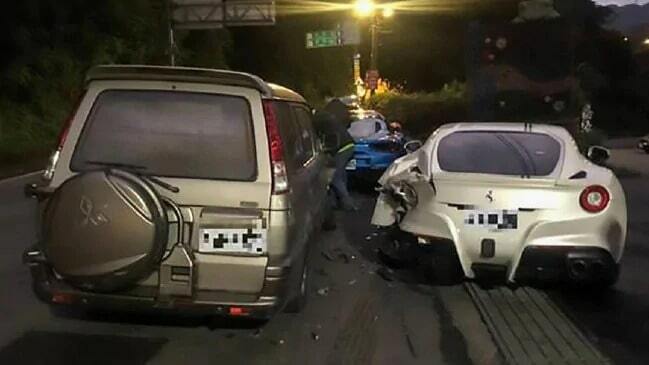 Lin claims he was too tired to drive, and endured a lapse of concentration that resulted in the accident. The young man has vowed to pay what he can in compensation for the damage caused. However, members of the public have come forward with donations after hearing of the young man’s plight and his promise to make good his mistake, and the city’s Department of Social Welfare has already received some 830 donations totalling around $245,000. 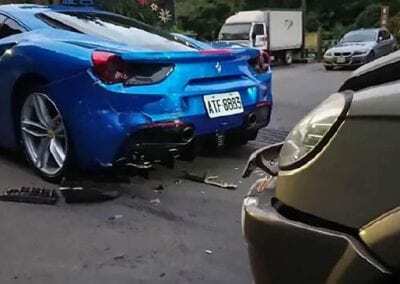 Pictures of the Ferraris show quite substantial damage, with various parts of bodywork shattered and detached, and while all are repairable, the cost is likely to be high. Taiwan is a country that is home to a large population who live in poverty, and a few who are very wealthy. Ferraris are, therefore, not a common sight in the country, so quite why there were four parked together is something of a mystery. The owners of the cars have not been named. 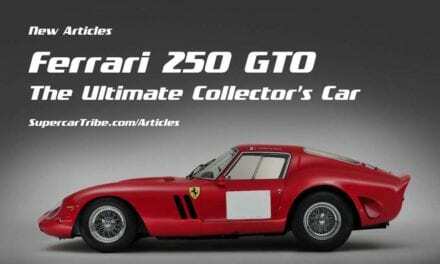 NextFerrari F40 LM. One of 19. Two times Le Mans Participant. What could go wrong?